and this one was taken this afternoon! 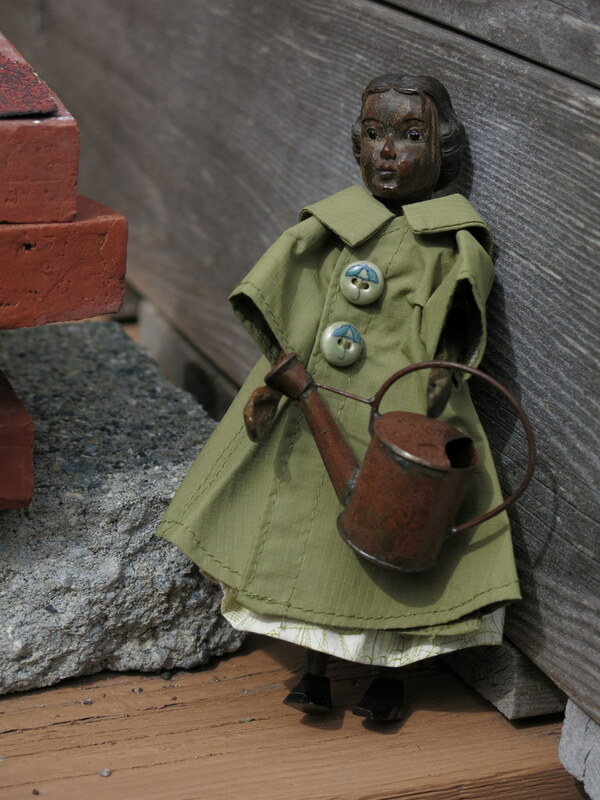 Because it is April, Perdita never knows if she’ll need her raincoat, or her sun hat, or both! Waiting, watering, and watching is harder than it looks, though the watching is easier now that the plants are big enough to withstand the chickens! 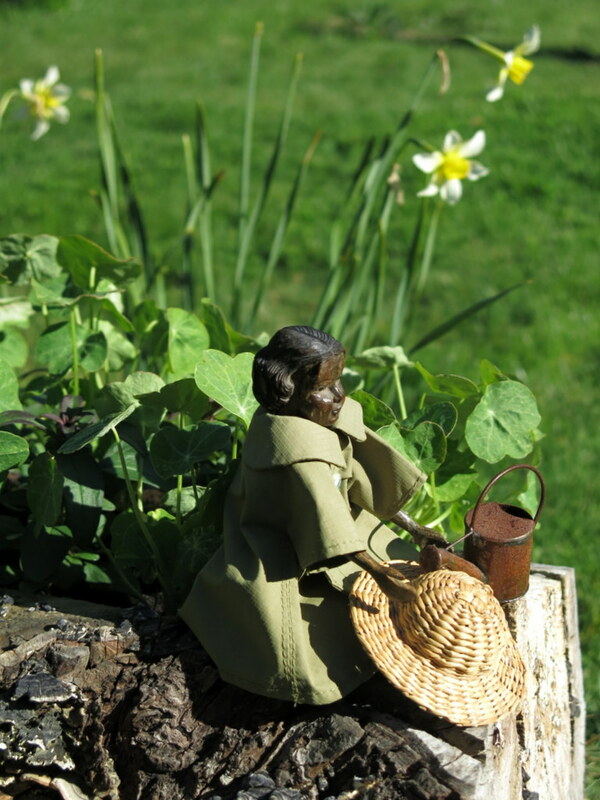 Oh, the careful, tender gardening habits of Hitty Perdita are showing such progress. How grateful she must be now that the chickens will not be such a challenge to her garden. April showers are coming and going, but Perdita is constant in her attentions, we hope for a lovey clump of stump-hiding nasturtiums soon! 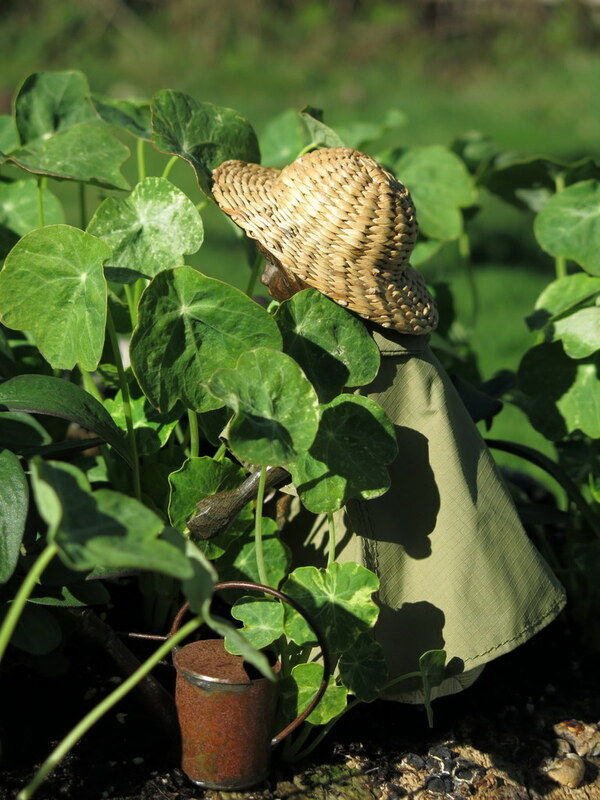 I believe Perdita is safeguarding and nurturing nasturtiums…no wonder those pesky chickens want to eat them. 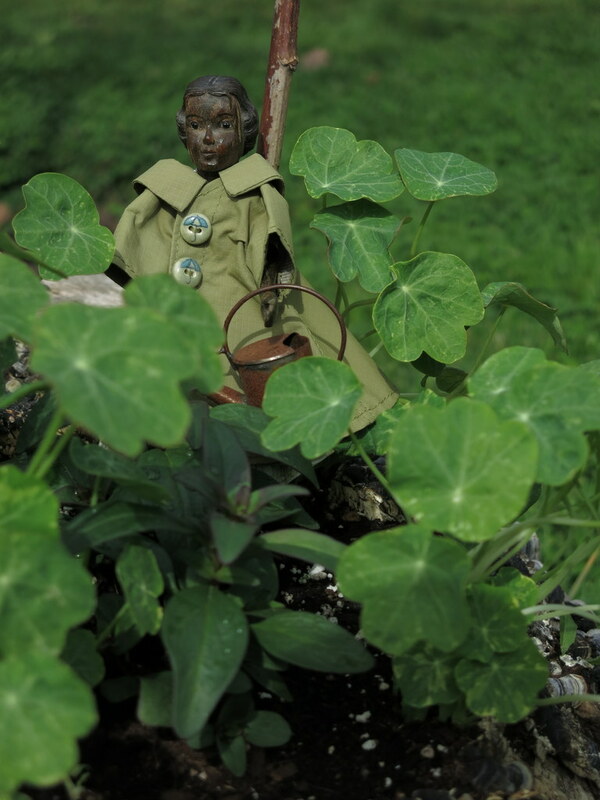 Perdita does seem to have a nasturtium-nurturing nature! She has done a good job so far in repelling the poultry! my that stump garden is flourishing. I do love Perdita’s coat and those wonderful buttons! We are all pleased with the stump garden, but Perdita especially so. Her coat is one of the first I ever made for a Hitty – the buttons are hand made ceramic, purchased in Argentina!